Sitting incongruously among the hangars and laboratories of NASA’s Ames Research Center in Silicon Valley is the squat facade of an old McDonald’s. You won’t get a burger there, though–its cash registers and soft-serve machines have given way to old tape drives and modern computers run by a rogue team of hacker engineers who’ve rechristened the place McMoon’s. These self-described techno-archaeologists have been on a mission to recover and digitize forgotten photos taken in the ‘60s by a quintet of scuttled lunar satellites. 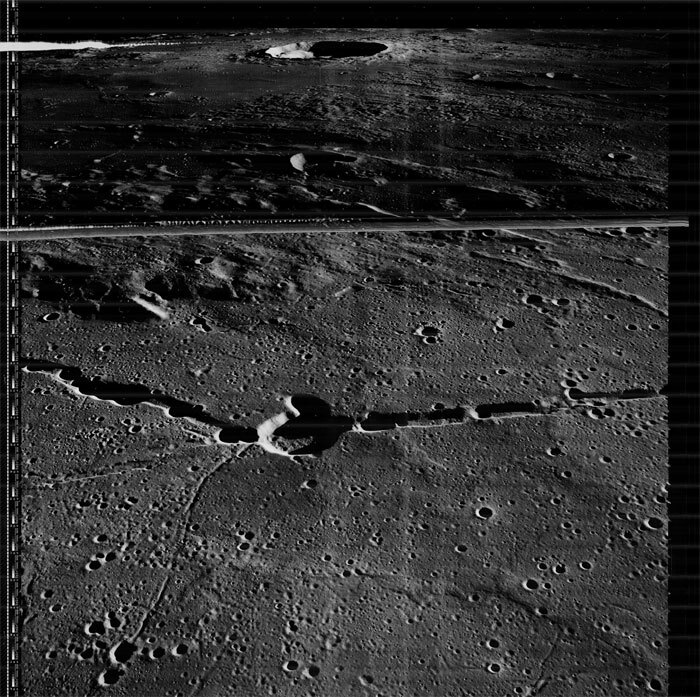 The Lunar Orbiter Image Recovery Project has since 2007 brought some 2,000 pictures back from 1,500 analog data tapes. 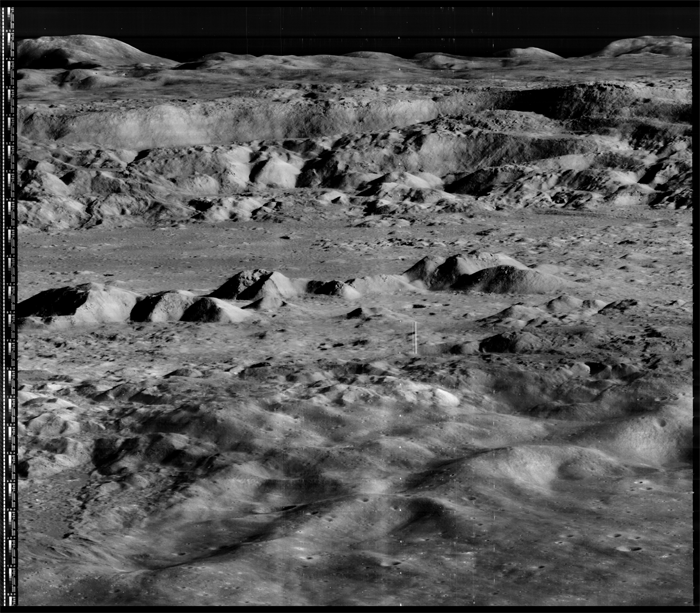 They contain the first high-resolution photographs ever taken from behind the lunar horizon, including the first photo of an earthrise (first slide above). Thanks to the technical savvy and DIY engineering of the team at LOIRP, it’s being seen at a higher resolution than was ever previously possible. 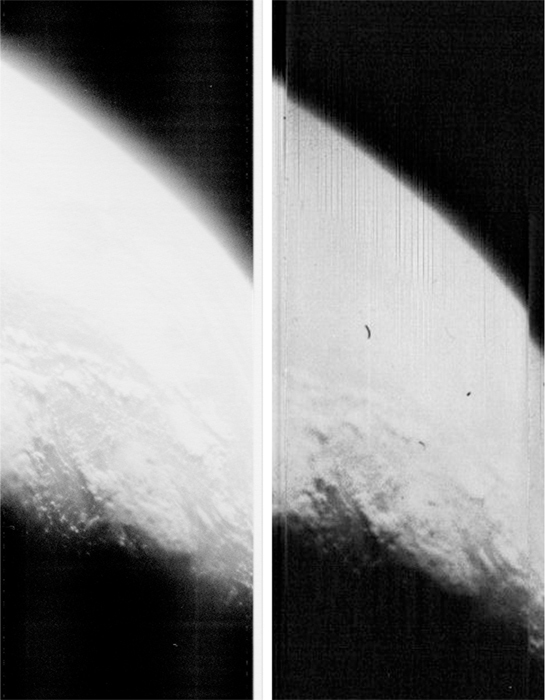 The images were beamed in modulated signals to one of three receiving stations in Australia, Spain, or California, where the pictures–and collateral chatter from the NASA operators–were recorded straight to tape. After finishing their missions, the satellites were unceremoniously dashed against the moon rocks, clearing the way for Apollo. 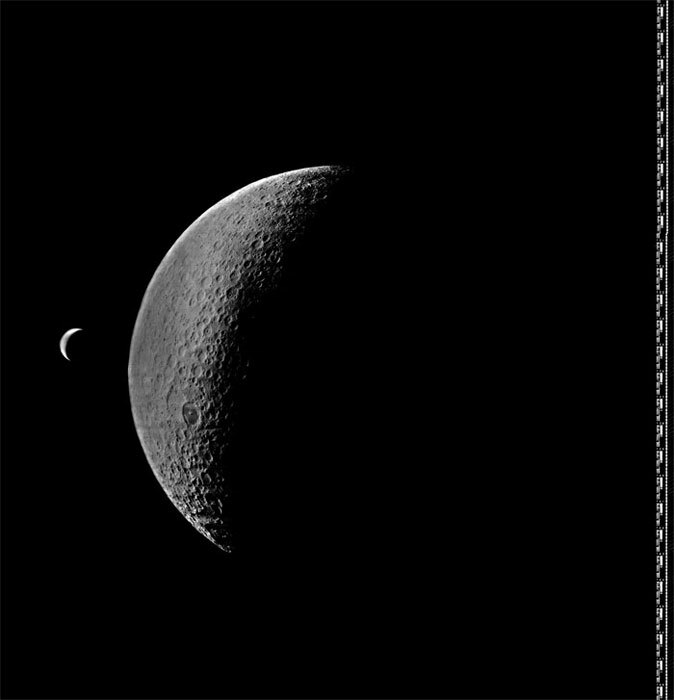 The brilliant and ballsy engineering was typical of NASA during its golden age, a time when it was also more closely linked to other government agencies with an interest in taking pictures from space. They changed hands several times over the years, almost getting tossed out before landing in storage in Moorpark, California. Several abortive attempts were made to recover data from the tapes, which were well kept, but it wasn’t until 2005 that NASA engineer Keith Cowing and space entrepreneur Dennis Wingo were able to bring the materials and the technical know how together. The drives had to be rebuilt and in some cases completely re-engineered using instruction manuals or the advice of people who used to service them. The data they recovered then had to be demodulated and digitized, which added more layers of technical difficulties. The resulting framelets had to be individually reassembled in Photoshop. 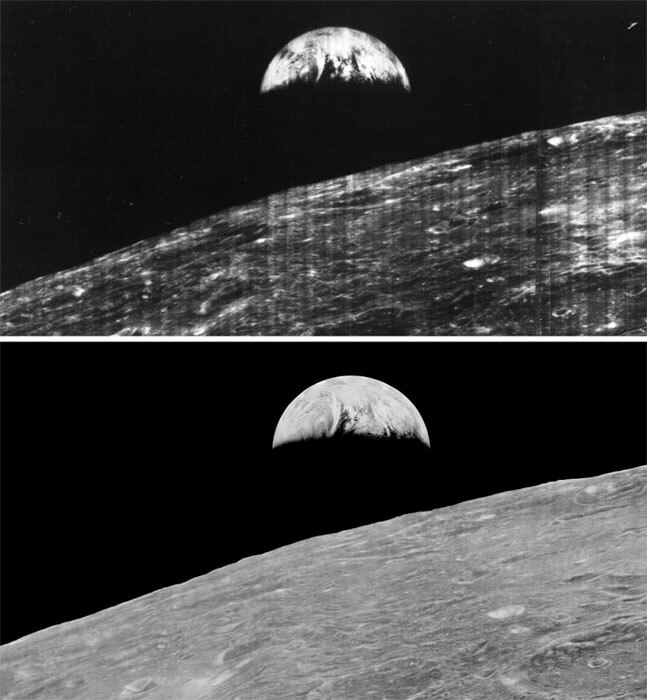 After kluging through countless engineering problems (try finding a chemical substitute for whale oil to lubricate tape heads), the LOIRP team was able to single out and reproduce the famous earthrise image. This proof of concept brought the first NASA funding in 2008, and the team recently completed processing the entire tape collection. 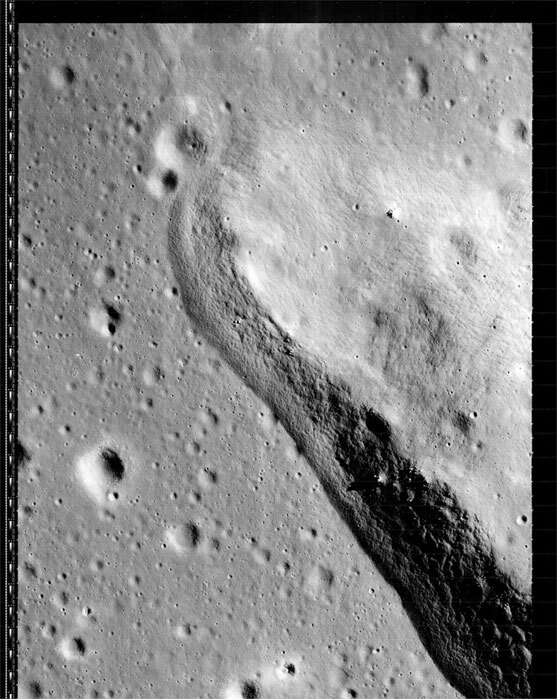 Since the ’60s, a series of Earth and Moon imaging satellites have launched, including the Lunar Reconnaissance Orbiter in 2009. 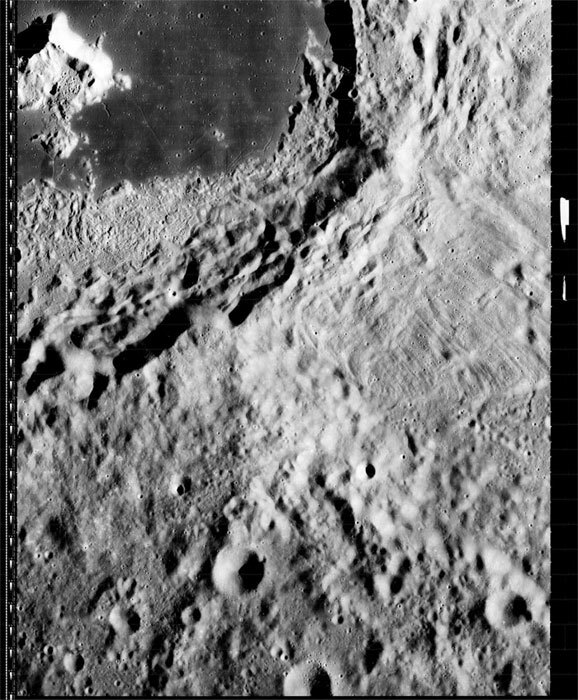 Despite the advances in computing power and optics, Cowing says the terabytes of images recovered at LOIRP are often even more detailed than those taken by LRO, capable of being blown up to billboard size without losing resolution. Officially named Building 596, McMoon’s flies a flag bearing the distinct Skunkworks skull and crossbones, signaling the team’s hacker ethic. The seven or so people tinkering away inside maintain an open-source mentality about their work, making all images and their technological discoveries free to the public. They also have plans for a decommissioned Titan ICBM that’s sitting outside (for students, of course). McMoon’s has grown into a highly specialized operation, stuffed with a melange of old and new technology now put to use in decoding various NASA and Library of Congress tapes that no one knows what to do with. With a built-in ability to handle hazardous chemicals, the old McDonald’s made practical sense, but it also gave them a layer of distance to carry out their weird work. The images gathered at LOIRP have been coerced into providing even more information than they were intended to. Their data have been used to correct figures from the time about Earth’s arctic ice levels, and have helped identify an El Niño-type event in the ’60s. 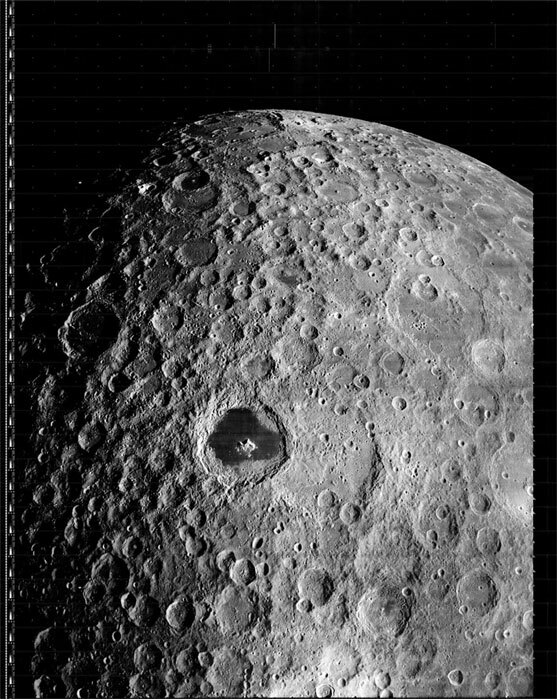 All the images and the information gathered from them are being fed into the Planetary Data System, an official repository where mission data from LRO, Mars Observer, Climate Orbiter, and many others are documented. 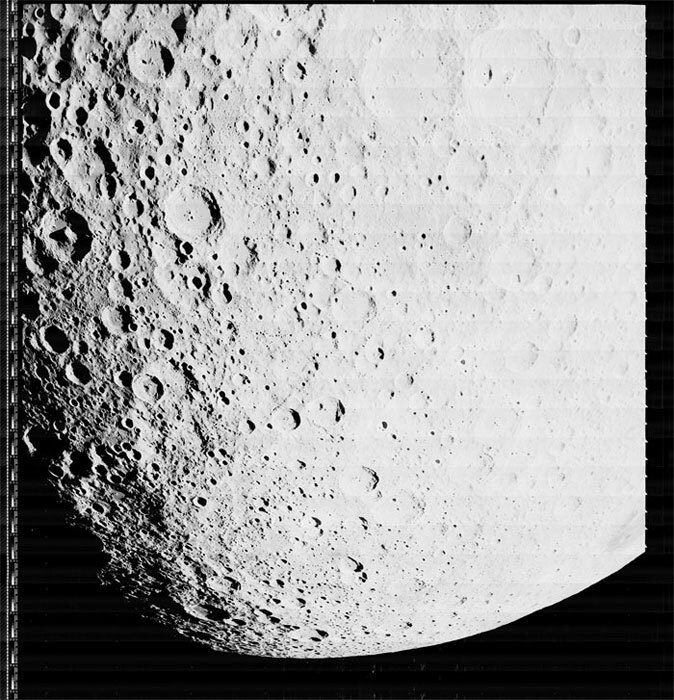 Started by the same Nancy Evans that provided the tape drives, the Planetary Data System didn’t exist when the Lunar Orbiter pictures were initially taken. 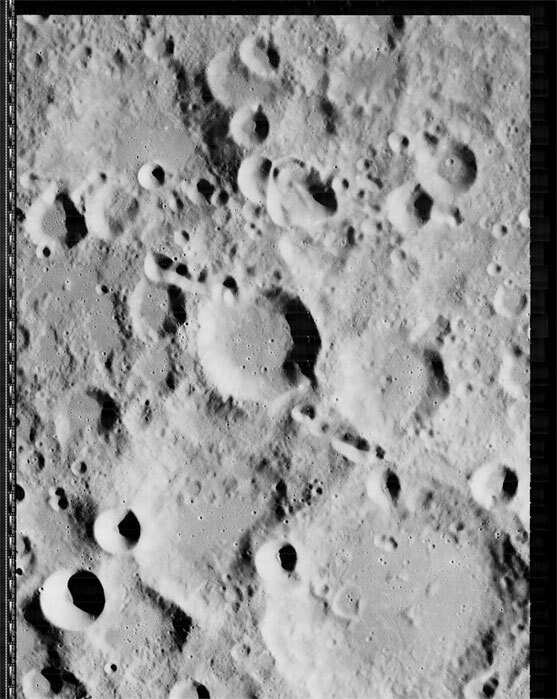 The images and information that LOIRP has recovered will be submitted as the official record of the original sattelite mission. It’s a testament to the lasting work of the engineers who designed the orbiter missions, and the tenacity of the modern techno archaeologists who are bringing that work to full fruition.